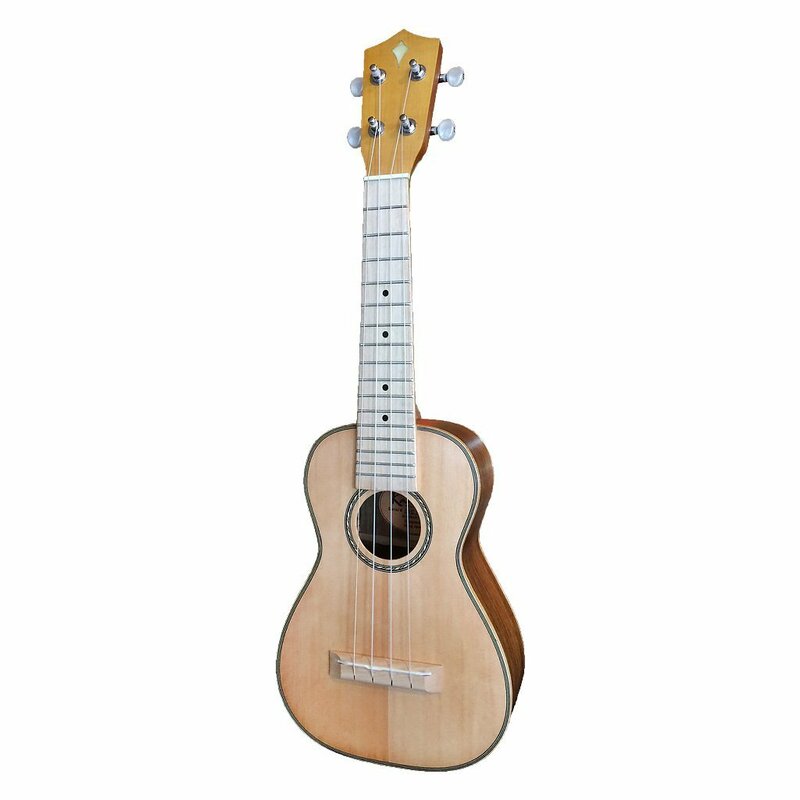 The All New L5 Series has a Bright Tambre and Full projection a Beloved Ukulele in the Kamoa® Family of Products. The Top End Projection is Light, Fast and Powerful and the Trebles Sparkle with Great Clarity. The L5 is Ideal for Finger Pickers or Strummers of Any Skill Level. We highly recommend purchasing an Oasis Ukulele Humidifier. The All New Kamoa® L5 Concert all solid Spruce Sound Board and Walnut back/sides, a Kamoa Staff Favorite! The Spruce and Walnut tone-wood body provides a deep BASS response and brilliant clear treble side projection. Nicely Appointed with a Maple neck and bridge gives the L5 a silky smooth, ultra-fast playability.